Bowie was born on Jan. 8 and would have turned 70 on Sunday. Tuesday, Jan. 10, marks the first anniversary of his death. 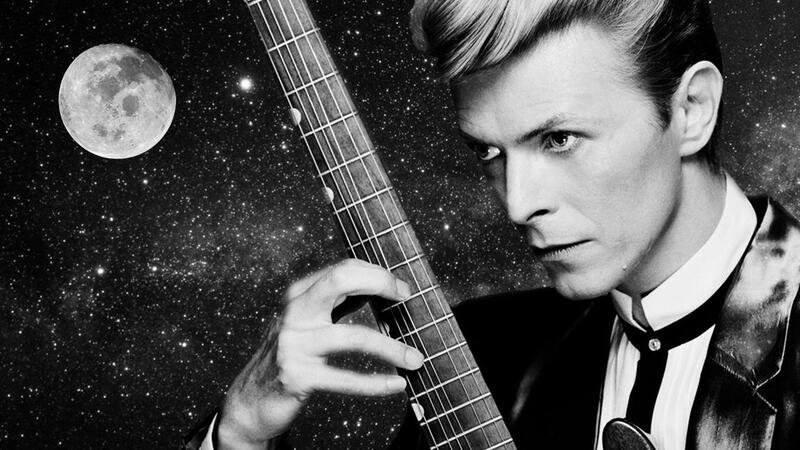 Bowie filled his songs with references to space, and his first big hit, "Space Oddity," was released just days before humans first walked on the moon. "Can you tell me how long it would take to walk to the moon? Could I make it there in my lifetime?" Ridiculous, of course. What would you walk on? How would you breathe? Where would you put all the trail mix? But we decided to take the question seriously. If a human set out walking at a reasonable pace today, stopping to eat and sleep and take a day off once in a while — how long would it take to travel the distance that separates Earth and the moon? We attempt the trip — virtually — in a 360 degree environment. As you watch our video, you'll be able to rotate your view by clicking and dragging (or by moving your mobile device*) to see the things a moon-bound hiker would see. What does Earth look like from the height of the Hubble telescope or from the height of a weather satellite? To help pass the time, we brought along some of Bowie's music. It's only right that his major hits serve as milestones on our way to the moon. You can submit your science questions to Skunk Bear here. (Maybe we'll tackle, "Is there life on Mars?" next.) Subscribe to our YouTube channel to follow the answers. *Unfortunately Safari doesn't support 360 - you'll have to use the Chrome browser or the youtube app on an iPhone.